When I come to SF, I generally don't rent a car. I've used cabs and more recently Uber to get around. But many times I just walk from meeting to meeting around SOMA where most of the tech companies are. This week I tried something different. The Gotham Gal is a seed investor in a company called Scoot Networks who has launched a service that is best described as "zipcar for scooters." My colleague Nick and I rented scooters yesterday and used them to get back and forth to our meetings. I have my scooter until tonight when I am going to return it. The scooter is electric and very light. It is only 50 cc. It has enough speed and acceleration to get around SOMA easily. It is not as powerful as the 150 cc Vespa I ride around NYC, but I was totally comfortable on it and it worked great for me yesterday. Your phone is your "key". 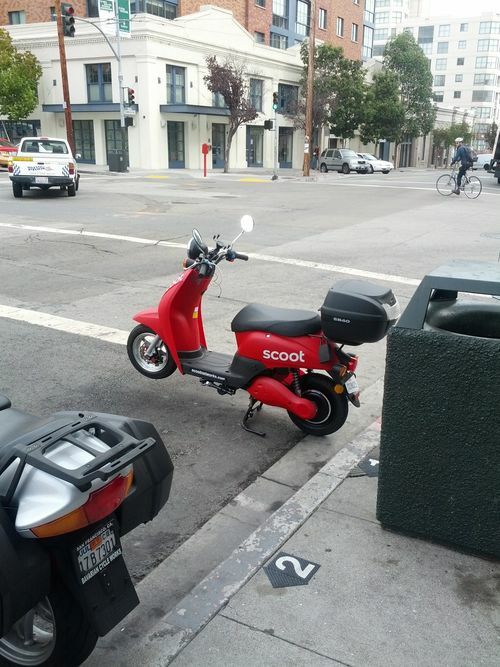 You join Scoot Networks and use their web app (native apps are coming). 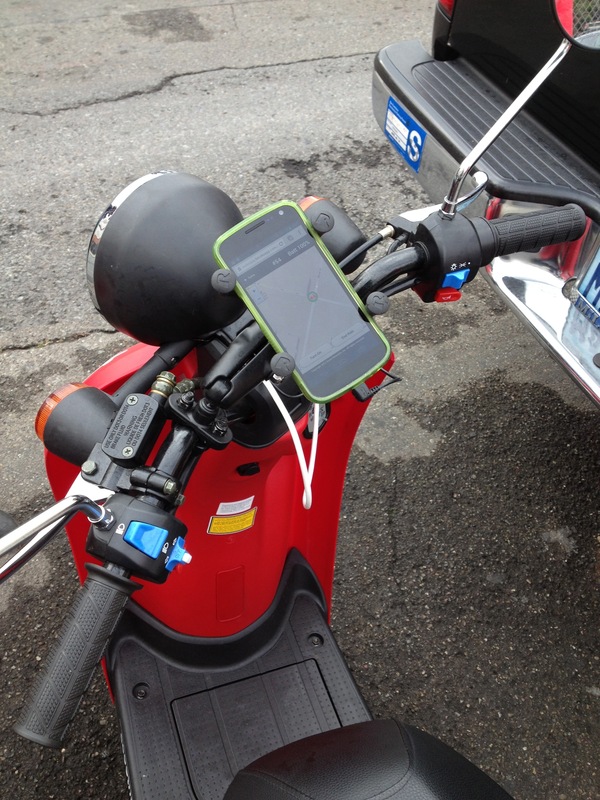 You place your phone in a bracket on the handlebar and connect an iPhone or USB connector and that turns the bike on and off. Then you can drive around from meeting to meeting, parking the bike on the street. Scoot Networks is currently only operating in San Francisco, but they are planning a larger rollout in the future once they get San Francisco working well. 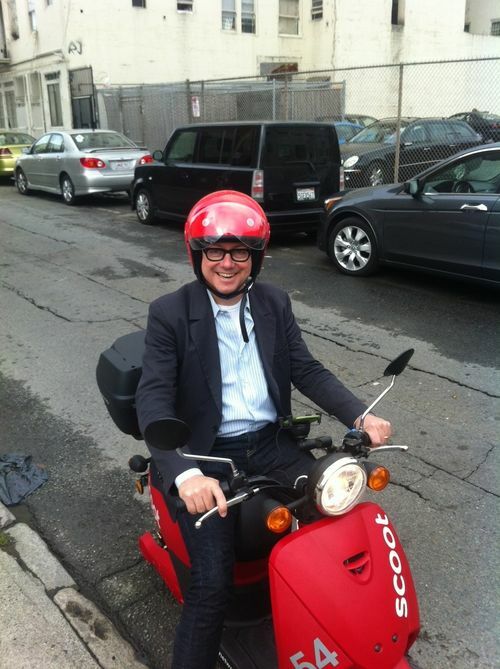 If you like to ride a scooter and travel to SF frequently, I suggest you give it a try. I am really enjoying it.